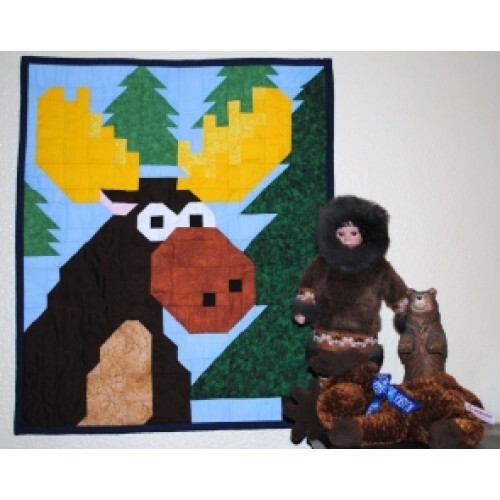 This is how a quilter puts a moose on the wall. This original pattern was inspired by a family reunion in Yellow Stone national park where we saw a moose just outside our cabin. * 3 sizes Main instruction is for the crib size 36"x42". 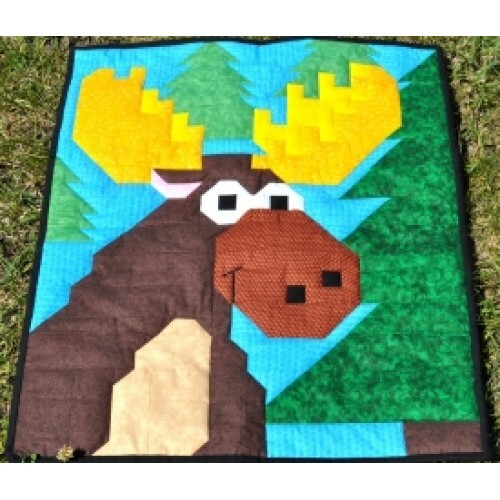 the pattern also has measurements for a small 24"x28" and large 48"x56"
I made it as a 24"x28" Wall Hanging perfect for any cabin or rustic themed room. Or as a lap quilt for the outdoors-men in your life. The pattern lists fabric yardage, then uses tables to show the number of strips to cut and the number of pieces to cut from those strips. The entire top is then sewn using straight 1/4" seams. The shaping is done with quick corner triangles or the snowball method.